Enterprise Resource Planning | Batish Technologies | Batish Technologies Pvt. Ltd. Enterprise Resource Planning – Batish Technologies Pvt. 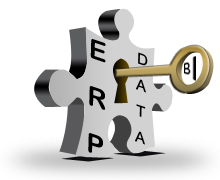 Ltd.
An Enterprise Resource Planning (ERP) system is an integrated computer-based application used to manage internal and external resources, including tangible assets, financial resources, materials, and human resources. Its purpose is to facilitate the flow of information between all business functions inside the boundaries of the organization and manage the connections to outside stakeholders. Our ERP solutions are different from other enterprise resource planning (ERP) software as we offer completely easy-to-use solutions that fit smoothly with your existing IT systems. Backed by Batish Technologies, you can count on ERP software that can fulfill your needs right now—and as well as in the future as your business grows with time. ERP solutions can manage critical business processes; respond quickly to change, and make the most of your assets and resources. Built on familiar Microsoft technologies, our ERP solutions are easy to use and deploy—and also they can be easily customized and adapt as per the business requirements. With customized ERP solutions you can gain an insight to the finances and authorize people across your organization to improve financial processes through highly efficient financial management. With Account Management ERP solutions you can easily manage projects and people, create effective billing cycles and use them to reduce the cost of projects and increase efficiency and revenues.